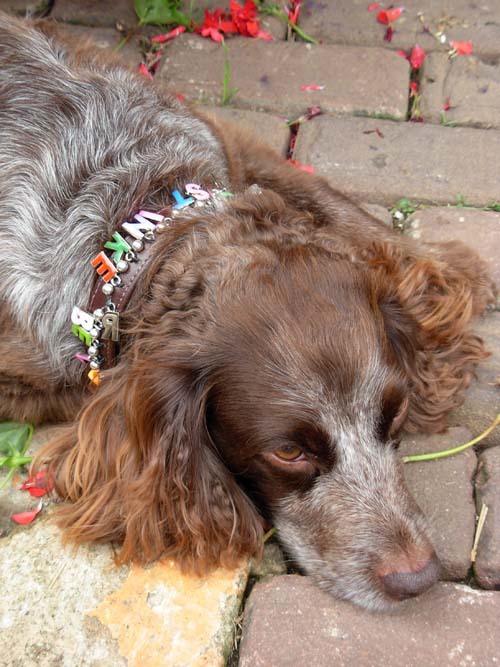 Alphabet charm dog collars - Holly & Lil Collars Handmade in Britain, Leather dog collars, leads & Dog harnesses. 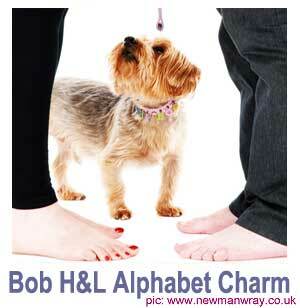 This alphabet charm collar is fun and funky in equal measure! 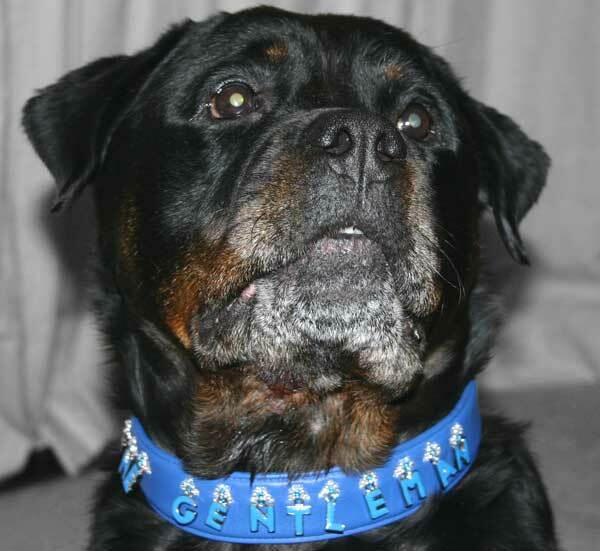 We can make the collar with any "message" - just let us know what you want it to say. For example we have created "BOB THE DOG" & "OLLIE WOOF" or , as for Damosel above (she lives in the Netherlands) "STINKERBELL".